Marvel's Iron Fist has been cancelled by Netflix – AiPT! Danny Rand’s adventures as the Immortal Iron Fist have come to an end. For now. 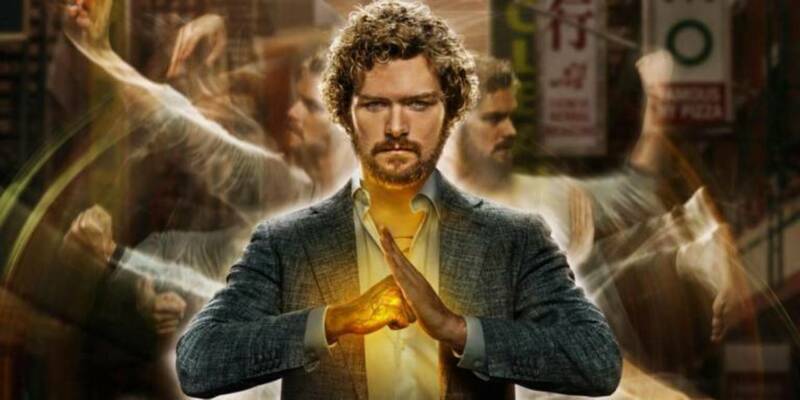 The Immortal Iron Fist’s adventures on Netflix have sadly come to an end. Just barely over a month after the second season debuted on the streaming platform to much improved reviews, the series has been officially cancelled. Finn Jones lead the series in the dual role of Danny Rand and the Immortal Iron Fist. Jones took to Instagram to express his feelings on the announcement and was met with a massive outpouring of support from fans. While the series has ended, the statement from Marvel and Netflix hints that the character might not be done in the Marvel Cinematic Universe just yet. Given the history and close relationship between Danny Rand and Luke Cage, it’s entirely possible that we see the Iron Fist cracking skulls on future episodes of Luke Cage. While there’s been no official announcement for a third season, it’s widely assumed that the series will be renewed. It’s also entirely possible that Danny Rand appears in future episodes of Jessica Jones, Daredevil, The Punisher or even on the big screen. Jeph Loeb, Head of Television for Marvel Entertainment has previously confirmed that the Marvel Cinematic Universe isn’t isolated to film, but includes the Netflix series. In addition to the existing Marvel series on Netflix and the possibility of a big screen debut, Disney could potentially revive the series on their own streaming service. Especially considering the fact that an untitled live-action Marvel television series has been confirmed for the service, along with two additional series for characters Loki and Scarlet Witch. Iron Fist is the first ever Marvel TV series to be cancelled by Netflix, so hopefully it’s not the last we see of the character. Ultimately we’ll just have to wait and see what the future holds for Danny Rand.